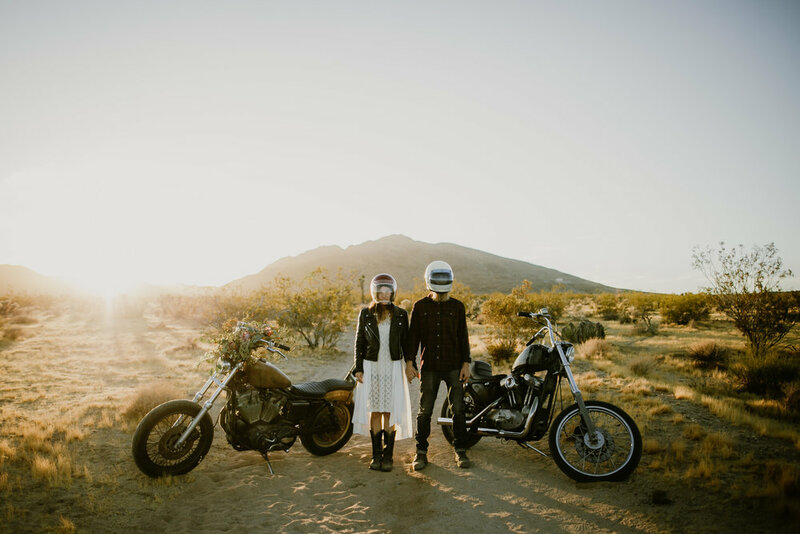 Peri Lee + Deto live in Joshua Tree and have rode their motorcycles side by side for many years. 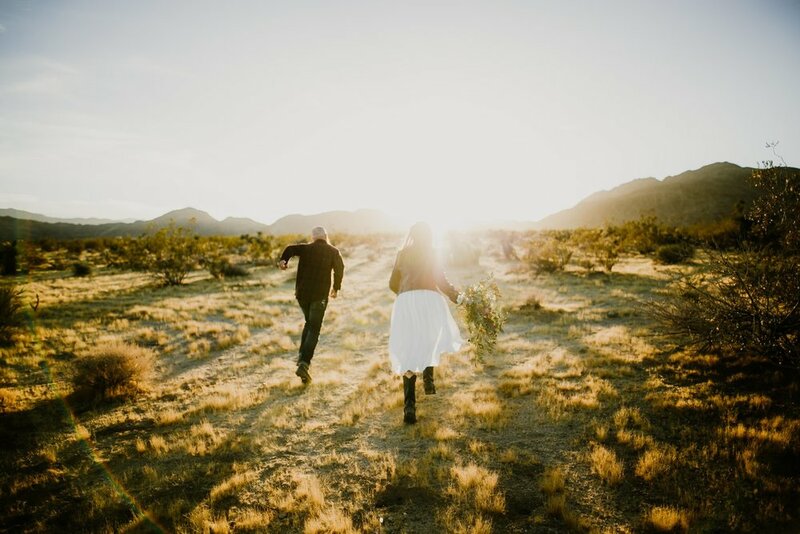 They spend their time in Joshua Tree traveling, hiking, and surveying the local animal species. Like, literally. 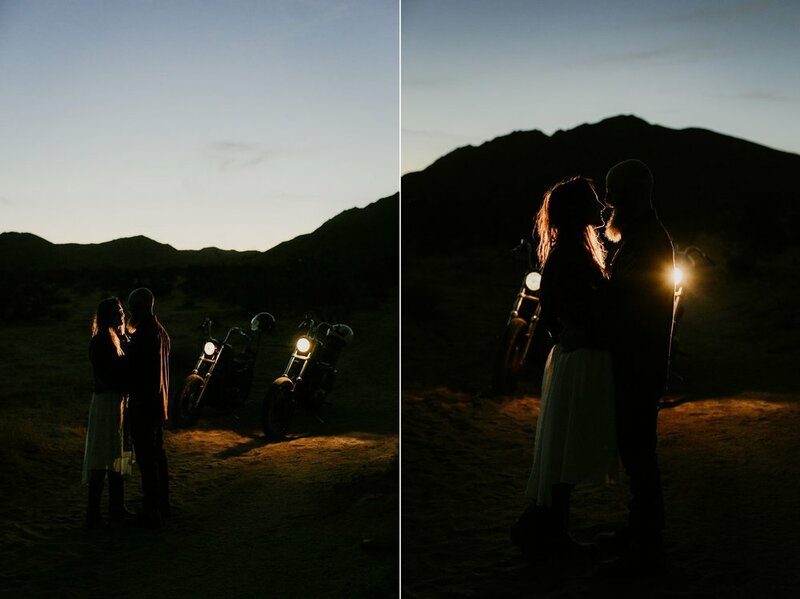 I saw on their Instagram recently that they had went out into the desert at twilight and set up a black light in order to attract the males of the endangered Casey's June Beetles. Curious people are my favorite. One thing I loved is that these two didnt want a photographer there for the actual ceremony. They said they would remember the moment, the feeling, and wanted the commitment to be private. I think many people today can be so focused on overly capturing every detail that they forget to be present in the moment. Being present, truly present, will create a memory where a photograph can't do justice.